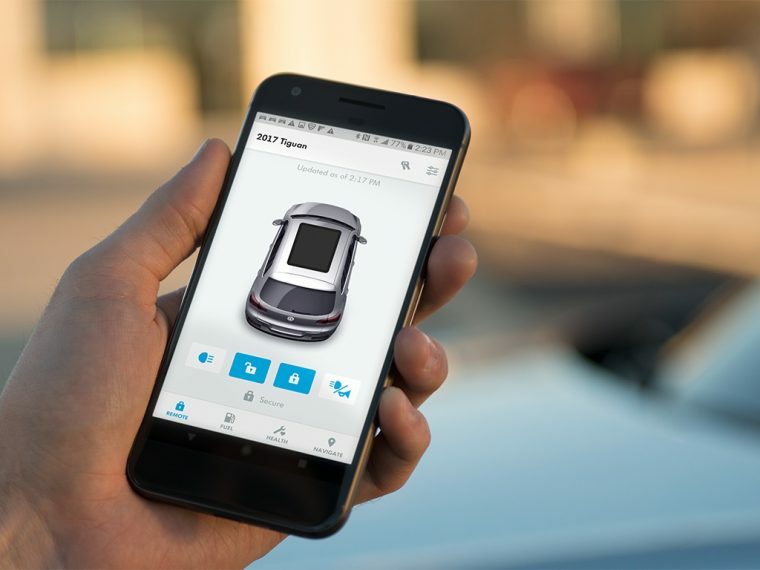 Volkswagen announced on Tuesday three new features added to their mobile app Car-Net. Available for both iOS and Android users, these new updates expand on the many tracking, navigational, and security features already existing on the app. Previous features of Car-Net include locating a parked car, checking a vehicle’s status remotely, and locking or unlocking doors. The app already allowed parents to monitor their children on the road by sending notifications when their vehicle exceeds a preset speed limit or leaves a pre-approved boundary. Now, this update has extended its capabilities with Curfew Alert and Valet Alert. Owners are now able to set a curfew time, and they are notified via text or email when their vehicle is driven during the forbidden hours. This is especially useful for parents who want to go to sleep knowing their teenage drivers aren’t sneaking out and driving without permission late at night. Similarly, Valet Alert gives owners some peace of mind when they are valeting their vehicle. If the car goes just 0.2 miles from where it was last parked, it won’t be a secret. This is bad news for bored valets and rebellious teenagers, but it offers extra reassurance for parents who just want to enjoy a nice dinner or get a good night’s rest. Another addition helps drivers find parking locations, providing information about the availability, pricing, and scheduling of off-street parking with Parkopedia. With these features, Car-Net gives Volkswagen owners an added sense of security in knowing what is happening to their vehicle at all times. Even when the car is out of their hands, they can just pull out their phone and know all they could possibly want on the screen in front of them. Oh, how far technology has come.